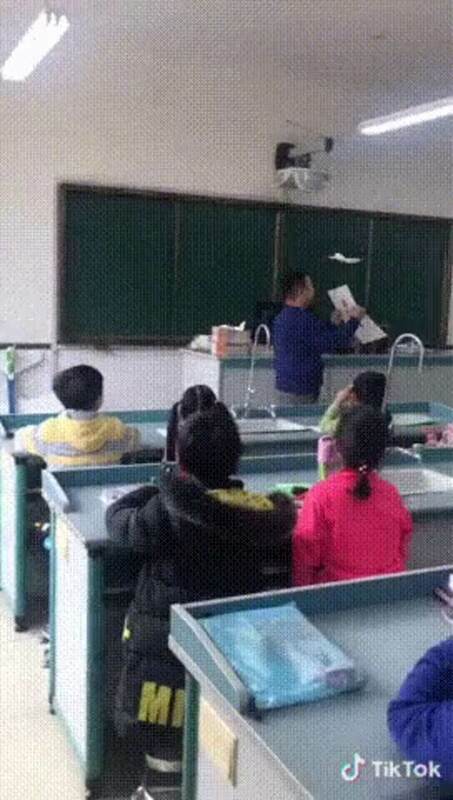 That’s a great way to teach. It’s called “ground effect”. . When planes come close to the ground, they experience increased lift, and in some cases have to actually force the plane down more to make contact with the runway. .
Or in this case, when a sheet of paper (cardboard?) comes close to a paper glider. Additionally the sheet of paper is scooping the air in front of it and pushing it up creating extra lift. This makes sense! There is nowhere for the high pressure air to go so it almost forms a cushion underneath the plane.